Introducing Nostalgic Script- modern brush font, organic, dynamic and energetic sytle.Perfect for various purposes, such as the title, signature, letterhead, signage, labels, newsletters, posters, logo, correspondence, wedding invitations, badges, etc. File format: .ttf, .otf,. woff for Photoshop or other vector software. 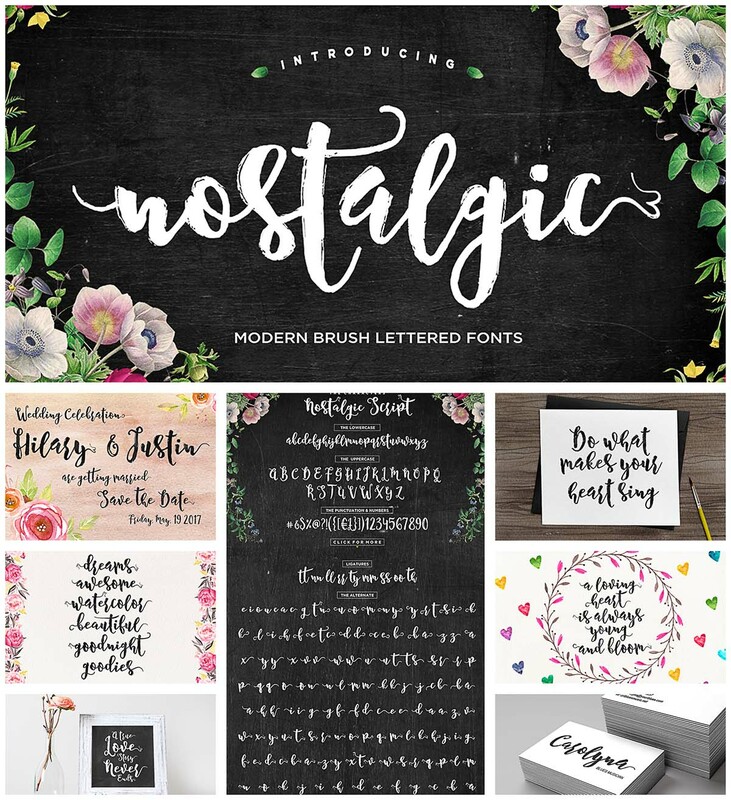 Tags: brush, calligraphy, calligraphy script, cursive, modern script, vintage. Really loke this font. Handwriting fonts are so inspiring and really good for quotes writing.